My article about Chromium OS(Chrome OS) has already published on Japanese linux magazine. This is a part of contents. 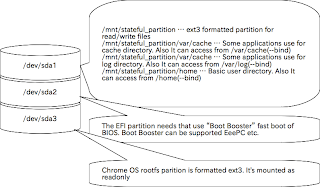 This is the partitioning of Chromium OS.